My Friend Dahmer might have brought Derf the most notoriety, but his classic alternative newspaper strip, The City, is probably his most wide read offering. The City ran for nearly twenty five years, and I can’t quite remember the first time I read it. It might have been in a Baltimore City Paper (RIP) when I travelled south for a debate tournament. It could have been in the hometown rags, Philaelphia Weekly or our own incarnation of City Paper. But I do remember when I started reading it – 2004 during day shifts at the bar where I worked through my 20s. Every Thursday, the Washington City Paper arrived, and I’d spend my meager free time between the end of lunch and the start of happy hour reading The City and Red Meat, looking to see who’d be playing the Black Cat, 9:30, or DC9, and of course reading the incredibly wild personal ads. 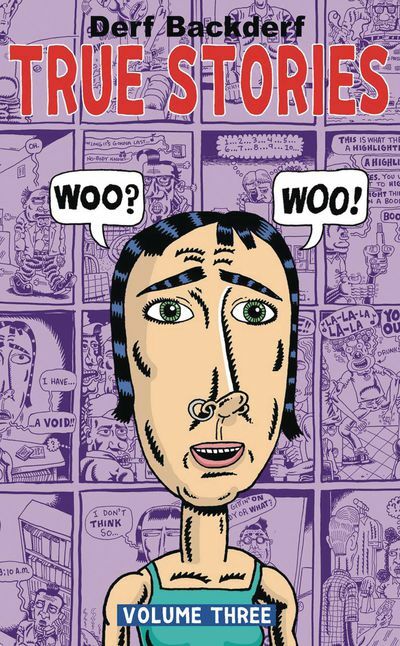 True Stories is culled from the same named regular feature of The City, non-sequitur strips offering incredibly odd-yet-believable slice of life happenings. 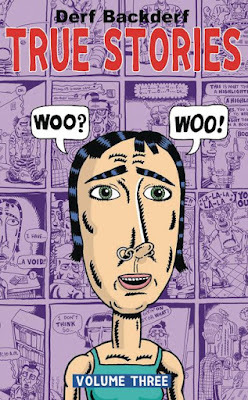 Derf’s style is that of an even more intentional R. Crumb – it’s gritty, confrontational, and over the top, a perfect combination for True Stories. Yes, you should buy the Ales Kot/Tradd Moore/Heather Moore book. But you should also buy Descender because it represents a style of storytelling utterly unique to itself. 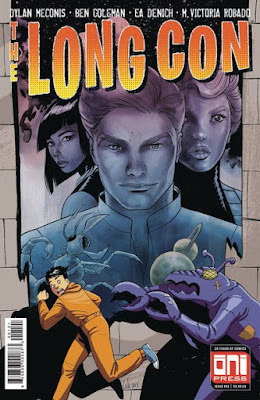 Few people in comics operate like either Lemire or Nguyen, and as a pair they have created a series that is as experimental as it is touching. It’s difficult to summarize what they’ve managed to conjure in 32 issues. It feels as compact as it feels expansive, a story about robots that feels more human than most other offerings on the stands. Yes, we have a sequel of sorts promised in Ascender, and for that I’m grateful. But this series warrants your time, even if you’ve yet to pick up the first trade. Ok. I’ll bite. And maybe it’s nostalgia. Perhaps it’s the fact that I had a crush on Rogue when I was in fifth grade. Perhaps it’s because I always pretended to be Gambit when my friends and I would play X-Men. Perhaps it’s because this issue is at least 25 years in the making. Regardless, I’m in. There’s a theory that, when humans cease to exist, vegetation would take over and wipe out all traces of human existence in a relatively short amount of time. 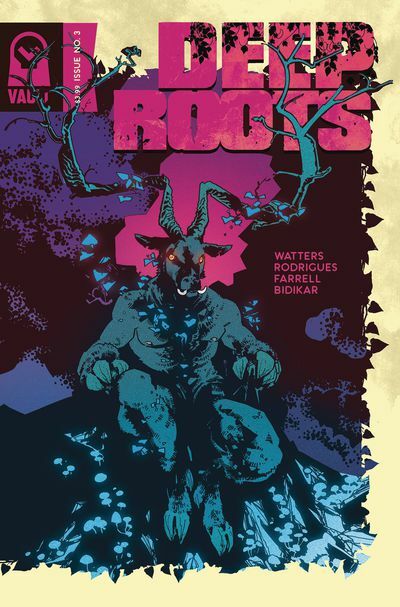 Deep Roots essentially speeds up that process in that the things that live underground begin to get a little antsy, and, well, attack. In the vein of Snyder’s Swamp Thing, Lemire’s Animal Man, and the subsequent Rotworld crossover, Deep Roots is a part of the growing subgenre of eco sci-fi. And, because it’s from Vault, it looks great. 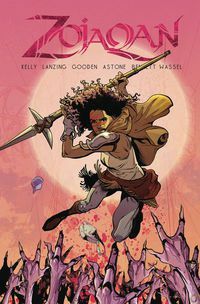 Val Rodrigues and Trionna Farrell combine for an aesthetic that recalls 70s sword and sorcery art, vintage Bronze Age color work, and early Vertigo by way of 2000AD. The book, and I mean this complimentary, looks both penciled and colored by hand. There’s a rawness to it that is missing in comics right now. When a woman in pain is ripped into a bizarre, hostile future, she must decide whether she truly wants to survive or if her grief will consume her in this gorgeous looking future fantasy that expands the trade line of Vault's books. I really enjoyed the mystery of the first issue and can’t wait to read the rest. I love the idea of a grieving mother being asked to start again. It’s a great concept, but that’s Vault for you. Someone decides that the hottest drug is made by grinding up the bones of the dead in New Orleans. Not exactly a smart plan. Especially if it is Cullin Bunn pulling the strings. With the idea of the dead taking over the living post high and Bunn at the helm, this is a horror book I can’t wait to check out. Scooby and the gang head down to the swamp and for once encounter a real monster, well sort of, when they encounter Alan Moore Swamp Thing! 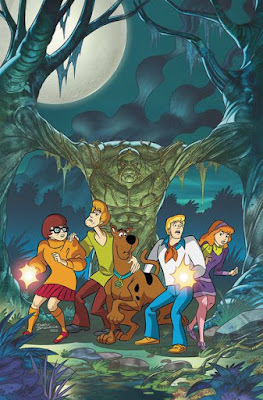 The Scooby series continues its unlikely pairings and I am really looking forward to seeing how the gang deals with a more serious member of the DC library. These team ups are brilliant and fun and perfect for all ages. A suspiciously familiar convention meets a tragic end but...is it really over? When a survivor is sent to investigate years later, he’s drawn into a world where being geeky 24/7 never stopped...but the comedic horror begins. Dylan, a con vet, will know just where to tweak our noses and the art I’ve seen really does a great job of supporting tat playfulness, with just the right balance of exaggeration. I can’t quickly express how much I enjoyed the insanity of issue one, where a Jamie causes trouble all over the X mansion, ending in a romp of Jaime mashups with other heroes. Now we sort of get to find out what is going on, and well, time travel makes my head hurt but the quips make this a must read for me, aided and abetted by Andy MacDonald on art, who matches the verbal gags with great physical comedy, from reaction looks to just having folks pile on each other to pratfall-style antics. So much fun, and that's my favorite type of comic! 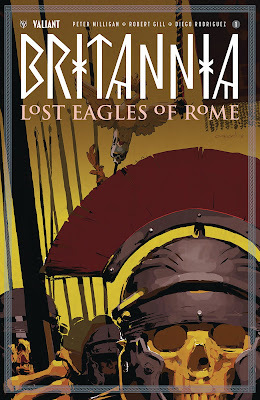 Britannia: Lost Eagles of Rome #1 by Peter Milligan and Robert Gill, published by Valiant Comics. There have been two prior Britannia miniseries at Valiant and they've both been fantastic comics. 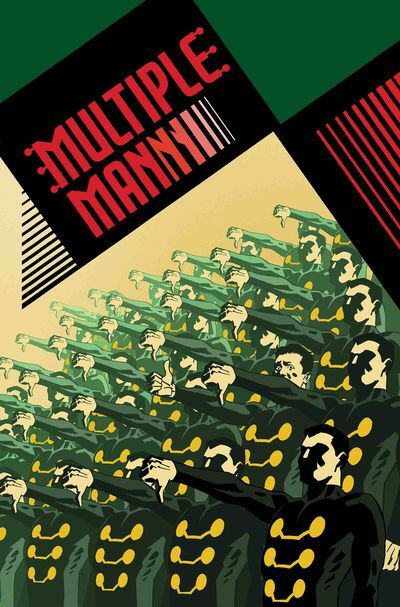 If you're not familiar with the Valiant universe, that's not an issue. These stories take place in ancient Rome and are really engaging horror-mystery stories about the world's first detective, or "detectioner". The art in the prior miniseries was handled by the amazing Juan Jose Ryp, so I'm curious to see what Robert Gill brings to the story. I know these have been great and I'm excited for more. Descender #32 by Jeff Lemire and Dustin Nguyen, published by Image Comics. 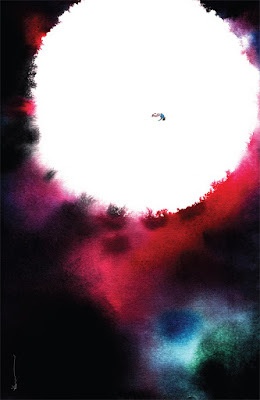 This is the final issue of Descender. I'm not suggesting you go out and read this issue - I'm suggesting this is an amazing series and you go out and read the whole thing. Dustin Nguyen's art is just heartbreaking, and he and Lemire are telling a story that's huge in scope but never loses its sense of intimacy. Descender is a fantastic series, and the creators should be proud of what they've put together. 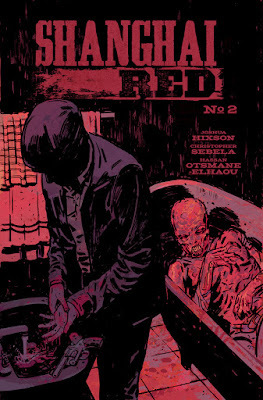 Shanghai Red #2 by Christopher Sebela and Joshua Hixson, published by Image Comics. The first issue of this book was a very strong debut issue, and I am excited for more. This is a pirate-revenger-adventure story that clearly has a lot to say about sexism, society, and I'm sure many other things. The first issue was a jam-packed, excellent story. Christopher Sebela is a terrific writer, and his dialogue always feels like things actual people would say. 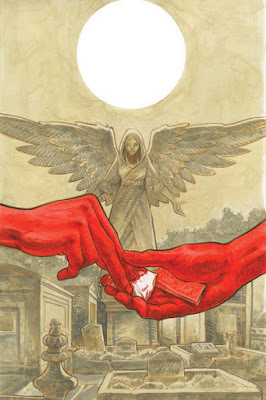 And on art, I didn't know Joshua Hixson before, but he's an amazing talent. Definitely someone to watch, and this book should very much be on your radar. 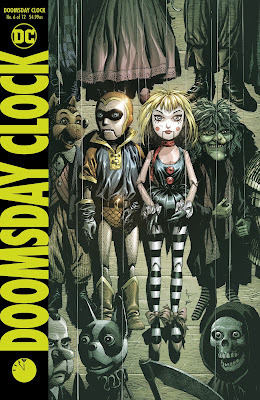 Doomsday Clock #6 by Geoff Johns and Gary Frank, published by DC Comics. This is profoundly a weird series, in that I'm not totally sure it should be happening? But if you accept the basic premise of this story and its existence, you will absolutely get sucked in. There's clearly a ton going on here, as Johns is constructing a heady wold in the sequel to Watchmen, and a dark turn for the DC Universe, as these two worlds intersect. 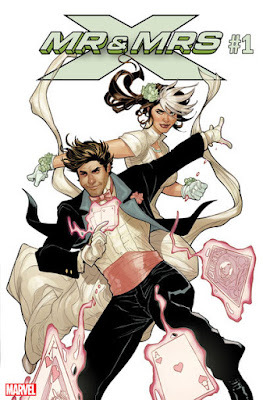 I haven't loved every issue, but the last issue was quite good, and I absolutely want to know what happens next. 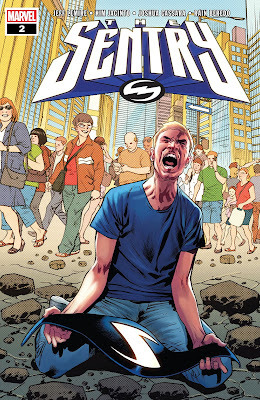 Sentry #2 by Jeff Lemire and Kim Jacinto, published by Marvel Comics. My second Jeff Lemire comic of the week! Here he's diving into the world of the odd Marvel superhero the Sentry, who's never quite fit in. Which makes him the perfect character for Jeff Lemire, who has a fantastic knack for weird stories and mentally unbalanced characters. The Sentry is the world's most powerful superhero, and he also happens to have a dark half which is its greatest threat. And it just gets weirder from there. The first issue was a lot of fun, and I would definitely recommend it.